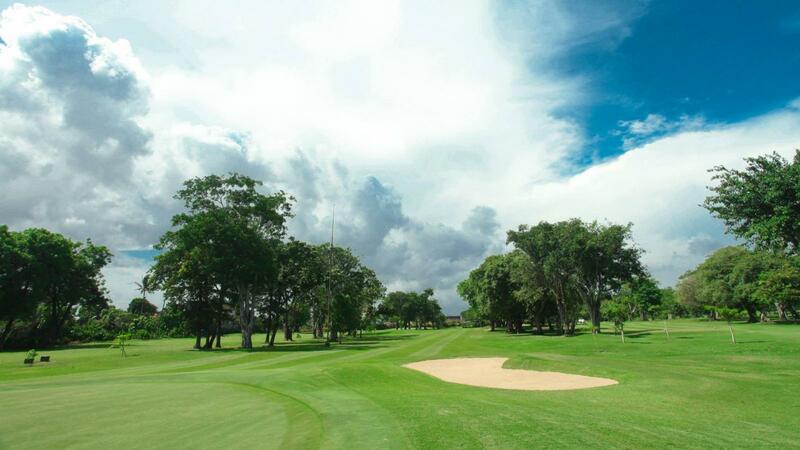 Established in 1972 as The Grand Bali Beach Golf Course, this course received an upgrade and reopened in 2005 under the new name Bali Beach Golf Course. Located in Sanur – surrounded by lakes and newly designed greens – Bali Beach is one of the smallest golf courses in Bali yet its privacy offers a luxurious golf experience. The golf course leads onto the Inna Grand Bali Beach, one of the first 5-star hotels on the island and a historical landmark in Sanur. 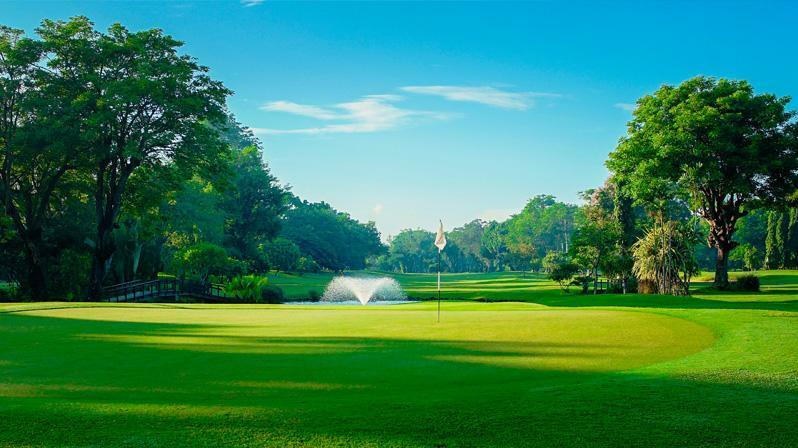 Bali Beach Golf is a 9 hole course filled with tall trees that are estimated to be as old as the half-century hotel. The course offers a variety of challenges for golfers of all skill levels. If you are looking to improve your technique, there are also golf lessons available from morning to night. If you schedule a visit to their night driving range, you can experience a magical sunset during practice, or end the day with a BBQ dinner at the Sector Restaurant located at the resort. On the Sanur shoreline, you can explore the rows of beautiful fashion boutiques and art shops which are all within walking distance from the Inna Grand Bali Beach Hotel. As far as value for money this is the least attractive of bali golf courses .Only 9 holes ,play same 9 holes twice for 18 .Fairways ok greens ok walk the course with no cart for 1,000,500 idr. Not that user friendly for casual not so serious players on holiday. Can't share hired clubs. Hired clubs don't include golf balls so must buy separately. Must have caddies but are expected to tip 100,000 to each caddy at the end so not included in the already expensive price for 9 holes. very strict dress code. course condition.... so so. price is good for short(time) game. caddy ...so so .. sometimes cannot find the ball. locker room... so so. Every staff are kind, nice Especially cady is nice Rental golf club is all titlelist!!! Wow! Because the course is just above average. Very friendly staff! The name is very misleading. Where is the beach?